Imagine being a young child sneaking quietly along the hallway towards your parents room, giggling and trying so hard to keep quiet. Your parents are in their bed listening and smiling, but immediately close their eyes and pretend to be asleep as they hear you creeping towards their room. 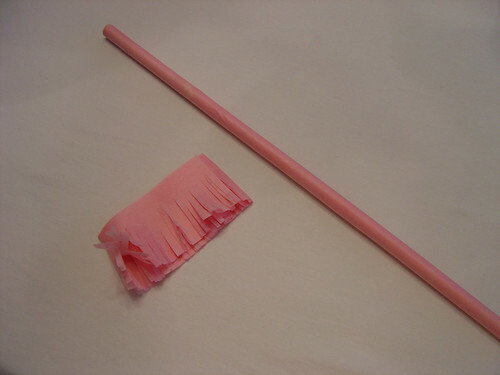 You are armed with a colorful tissue wrapped wand and will be rewarded with a cream bun for each spank given to your parents before they get out of bed. You shout "Bolla, bolla!" ("Bun, bun!") as you wake your parents. Afterwards you all go downstairs for bollur/cream puffs for breakfast. Bolludagur is always the last Monday before lent, and was by far my favorite tradition when I was younger! I wanted to share the tradition with you, so I made bolla and a wand to give you an idea of the morning. The thing is my memories and the reality or making the wand are amazingly different! I can't believe how much time went into making it, and can't imagine the amount of patience my mother must have had to make these with three little kids every year! 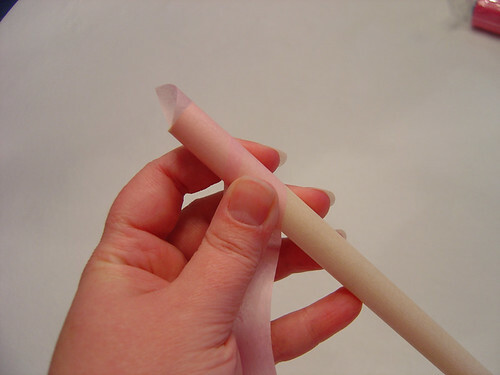 Start by completely wrapping the wooden dowel with a strip of tissue, I wrapped with 3 layers. 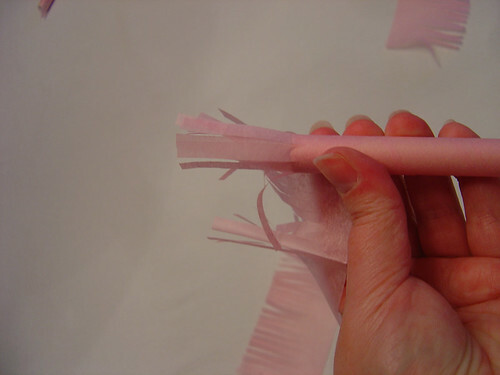 Start wrapping with fringe, cut each new bit of fringe a little longer until you finish the center, then cut them shorter again. This will make it more puffy towards the center and taper off at the fringe ends. Here's a closeup of the completed wand, so you can see the decorative cuts, and get an idea of length. What a wonderful tradition! I love it. I've never heard of Bolludagur Day. The wand is amazing. 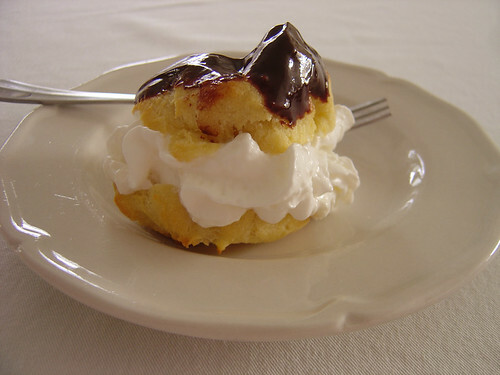 Cream puffs are one of my all time favorite treats. Thank you for the sweet comment Alessandra. 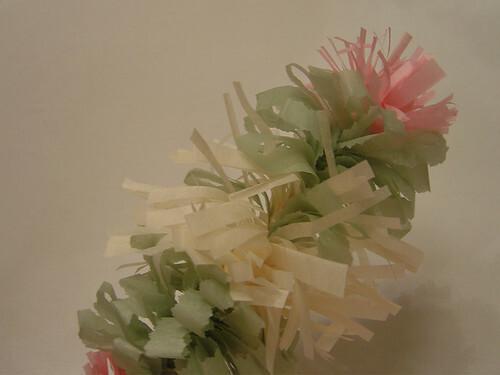 Auntie Q: It is a fun tradition... after talking with my mom I heard things have simplified somewhat in Iceland, usually making tissue decorated paper plates with a strap to hold them with... I'll always prefer the wand, even if they do take more time. The cream puffs are delicious! And very easy to make, if you want to give them a try. That's such a fun tradition! And OMG, those cream buns look delicious :-P They remind me a bit of profiteroles, which I absolutely LOVE. Elisa: They are exactly like profiteroles! So yummy! Just what the doctor ordered! You made me smile as I totally imagined being a child and a parent in this. Lovely! 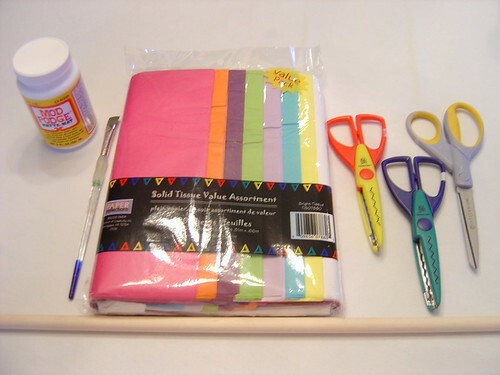 Thanks for sharing the darling craft/tradition with us! What a great tradition to pass on from your native land. You're right, your mom must have had a ton of patience, that wand is amazing. I would imagine that the fancy cut scissors of today would make the task a bit easier for decorative cuts? Sign me up for some of that bola! Wow... looks fantastic! Thanks Meredith and Tamy. I had a lot of fun reliving my childhood a bit! Thanks so much for the information! My daughter is doing a presentation on Iceland tomorrow and was able to make a wand to show and buy bollas for the whole class. This is a fun decoration of the wand, but how to make the BOLLURINN?? ?